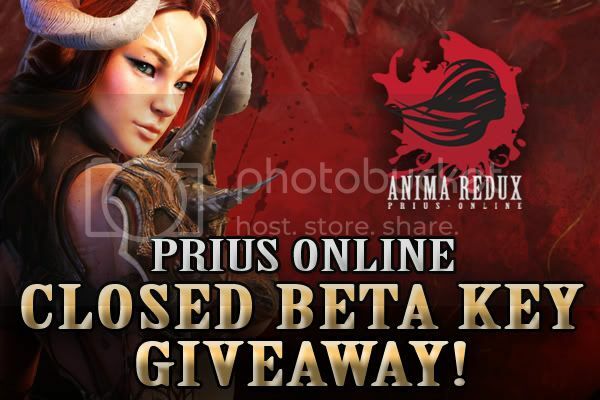 Home News Prius Online Closed Beta Key Giveaway! The giveaway begins on Tuesday, April 5th and will end Monday, April 25th. The beta servers will be live on April 28th, 2:00 PST, and the client will be available for download on April 22nd. Check out Prius Online Reviews or leave your own Review! Previous articleLuna Plus’ Bikini Bash Costume Giveaway! Next articleGRAVITY INTERACTIVE ELIMINATES MONTHLY SUBSCRIPTIONS ON RAGNAROK ONLINE! Join Us! this game looks very good, I’m really waiting to try it, greetings ..
Eclud did not rate this post. What is it, how come I´ve never heard of this game, and I really love gaming. spiele online did not rate this post. rautatappi did not rate this post.